Earlier Thursday, Sen. Maria Cantwell (D-WA) issued a press release stating she will be the latest Democrat to join the effort to block Gorsuch from receiving a vote on the Senate Floor. By Breitbart’s count, the majority of the Senate Democratic Caucus have now pledged their support for a filibuster, called for initially by Senate Minority Leader Chuck Schumer (D-NY). At most, twelve remain undecided. An NBC News/SurveyMonkey poll released Thursday put the American public at 54% for giving Gorsuch an up-or-down vote, while 37% are opposed. A growing number of Republican senators, in light the increasing indication Democrats will reach the fourty-one votes needed for a successful filibuster, have expressed their willingness to invoke the “Constitutional Option” and extend the Democrats’ elimination of filibusters to Supreme Court nominees once and for all. 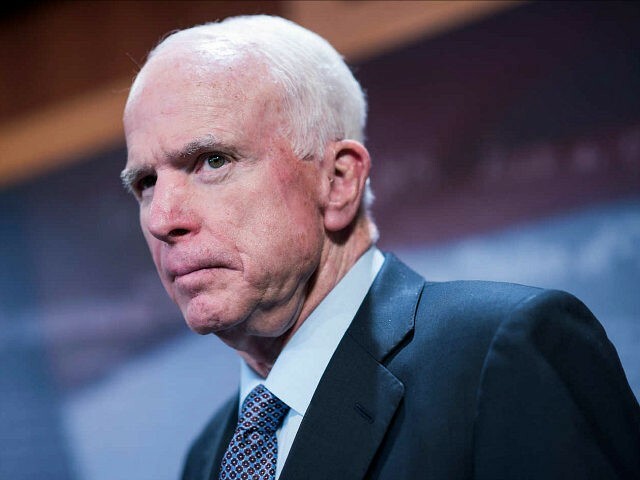 McCain, one of the longest-serving Republicans in the Senate, is attempting to reach some kind of deal to put Gorsuch on the Supreme Court and yet save the traditional sixty-vote cloture rule. For any such deal, he would need six additional Democrats to join the upper chamber’s fifty-two Republicans and two Democrats, Sen. Joe Manchin (D-WV) and Sen. Heidi Heitkamp (D-ND), who each issued statements Thursday indicating they would support Gorsuch’s confirmation. Sen. Jeff Flake (R-AZ) engaged in negotiations across the aisle of his own. “While he has been urging Democratic colleagues not to filibuster, he has been clear that he will do whatever is necessary to confirm Judge Gorsuch to the Supreme Court,” his spokesman Jason Samuels told Breitbart. Neither Flake nor McCain expressed a great deal of hope the looming showdown between the two rapidly entrenching blocs over the future of Senate rules could be averted before the vote on Gorsuch’s nomination, now set for April 7.